TCEQ Ambient Monitoring staff are using air monitoring vans to conduct monitoring in the area of the ITC fire site. Intercontinental Terminals Company (ITC) owns the facility. Spokeswoman Alice Richardson said the company believes the increased emissions of benzene could have been caused by a leak in one of the tanks that was compromised in the fire and lost its roof. The fire was extinguished on Wednesday around 3 a.m., but a flare occurred on Wednesday afternoon. It was put out by firefighting crews. 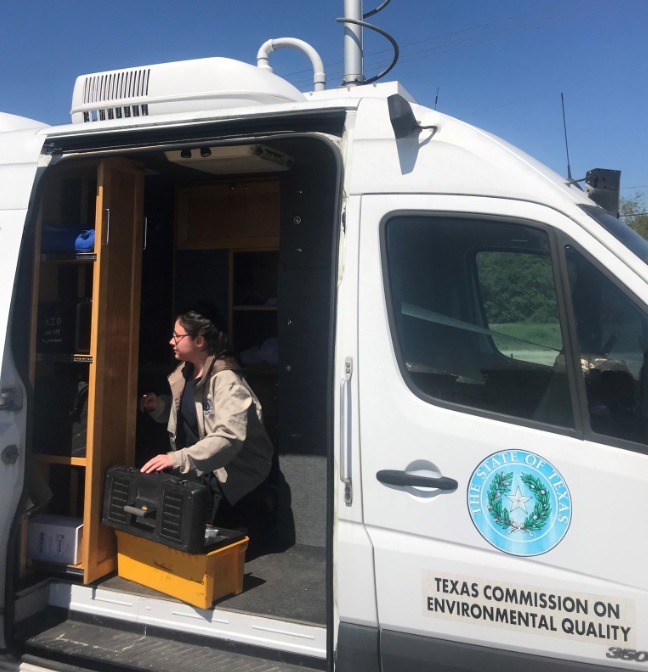 Emergency responders continue to monitor air quality as ITC coordinates its response with the Environmental Protection Agency, the TCEQ, Harris County, and other federal, state and local agencies. 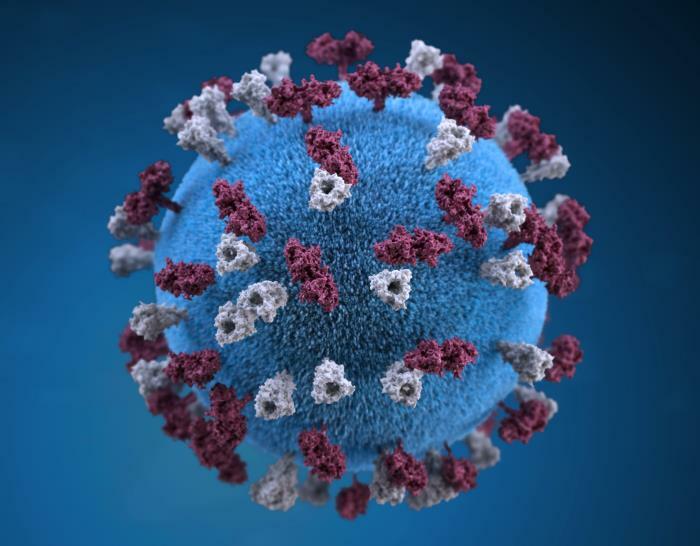 This illustration provides a 3D graphical representation of a spherical-shaped measles virus particle. Two more cases of measles have been confirmed in Texas, bringing the total to 14 as of March 21, 2019. In 2018 there were nine confirmed cases, and Texas had just one case of measles in 2017. The two most recent cases are in Bexar County and Tarrant County. The Bexar County case is associated with another measles case from Guadalupe County, according to the City of San Antonio’s Metropolitan Health District. The last recorded case of measles in Bexar County occurred in 2007. The Tarrant County Public Health Department said its measles case isn’t linked to any other case in North Texas. The patient had traveled out of the United States to an area that’s experiencing an increase in measles cases. The last recorded case of measles in Tarrant County was in 2015. Harris County has the most measles cases in the state, with four reported by health officials. The other counties with confirmed cases are: Bell, Bexar, Collin, Denton, Galveston, Guadalupe, Jefferson, Montgomery and Tarrant. Images from cinepoems of the 2019 REELpoetry Festival. Cinepoetry is a genre that blends poetry and film, with a myriad of approaches. It’s often a film that features a poem, as well as collaborations with musicians and artists — but it doesn’t have to. “One of the cinepoems [in the festival] is actually silent. But you get to see the poetic expression, if you will. 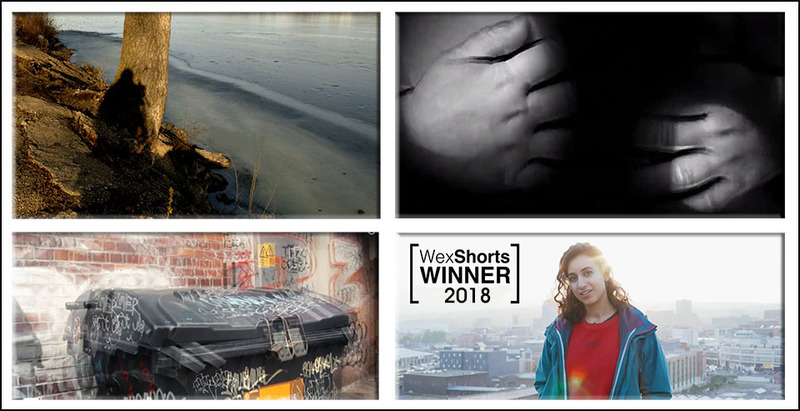 It has its own rhythm and meter even though it lacks words,” said Fran Sanders, founder and director of REELpoetry, a poetry film festival sponsored by her organization, Public Poetry. The three-day event will screen about 40 cinepoems from over a dozen countries, plus documentaries and videos. The festival opens with a showcase of local poets, at times reading live on-stage, alongside videos of their past performances in a “4-D” experience. Sanders said that, as a genre, cinepoetry is not usually shown by itself, but with Houston’s active poetry and film scene, she decided to focus on it and create the city’s first international festival of this kind.